‘Serbia? Is that even in Europe?’ my cousin asked me when I told her where I was flying to after my week in Germany was over. ‘What is it like over there? Is it still dangerous?’ she said, referring to the political unrest and NATO bombings of the early 2000s in Belgrade, the Balkan country’s capital city. Reactions such as this were not too uncommon from family and friends when I told them where I would be spending my semester abroad. Even in Western Europe, where I spent a week visiting family, Serbia, Bosnia, Macedonia, and the other Balkan States are relatively unknown parts of Europe with a murky history that somehow led to a series of violent, ethnically charged wars in the 1990s. Aside from Croatia and Slovenia, which are EU members, the Western Balkans are disconnected from Europe and are not given much attention in the west. Not knowing very much about the Balkan region myself, aside from what I gathered in the required readings I completed beforehand, I was not sure what to expect either. Yesterday I arrived in Belgrade’s Nikola Tesla Airport, named after the famous Serbian-American inventor and engineer. 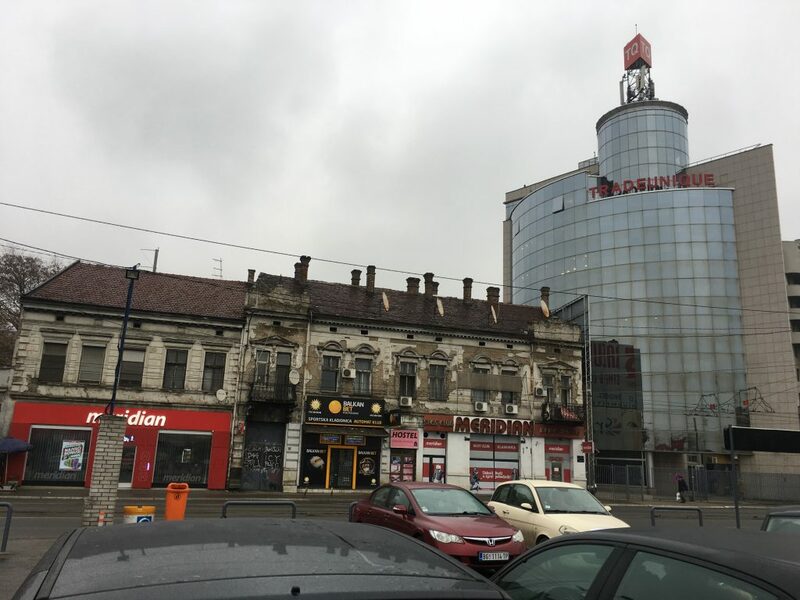 The airport is situated on the western outskirts of the city and so, along with the 12 other students in the SIT program, a bus drove me eastward into Novi Belgrade, a sea of concrete structures and spires, some partly destroyed, others still standing proudly. Driving past the semi-living remains of the communist period architecture, it was as if we had driven straight into a different era. As we passed across the river into the old city, we drove into yet another. Each site we pass by, a medieval fortress, a high rise skyscraper, billboards showing advertisements in two different alphabets, each tell a story about a city with a rich and tumultuous history I am eager to discover. There is much more unknown that lies ahead of me. I have yet to learn out who my host family is, where I’ll be living for the next ten weeks, where I’ll be taking my classes, how I’ll ever be able to learn enough of the language to get around in the city on my own. I am excited and a bit nervous, but am prepared and open to take what life gives me as I begin my time here.